Triple 12'' pack consisting of DJ Nex - DJ Nex EP (1992) and DJ Nex - The Poundstretcher EP (1993). 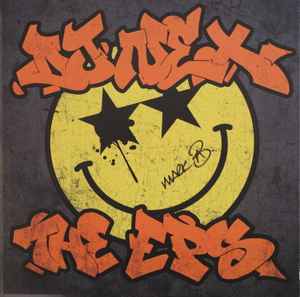 Comes with a signed poster of the front sleeve art and a mix CD containing all trax by Mark Archer aka DJ Nex. A wonderful - long awaited reissue from the heyday of when Altern 8 were putting out their best material. This is Mark Archer's side project. The 2nd EP was not very DJ friendly and thus not a loud as these tunes need to be pressed. The new triple vinyl splits the tunes from the Poundstretcher EP onto 2 pieces of wax and thus makes it a must have and well worth the investment. Cheers to Mark Archer for putting this proper collection out on vinyl. Mine did not include the CD and poster, so I'm assuming those copies are only available directly from Music Mondays. Does anyone know? Well worth the wait. Sound quality is ace, looks great and the cd is top notch too.